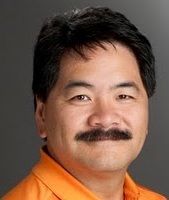 Chris Tsai Boothroyd Dewhurst, Inc.
Chris Tsai is the Director of DFMA Implementation Services at Boothroyd Dewhurst. He has over 25 years of engineering, change management, and leadership experience with the Eastman Kodak Company and the Rochester Institute of Technology (RIT). Most of that time was spent in the equipment product design and manufacturing portion of Kodak’s operations (i.e. digital cameras, scanners, printers, medical imaging devices, etc.). He has held positions in product & tooling design engineering, manufacturing engineering, project management, quality management, and globalization. Early in his career, he established himself as a corporate subject matter expert in Value Analysis/Value Engineering (VA/VE) and Design for Manufacture & Assembly (DFMA) and later expanded that expertise to Lean Six Sigma being certified as a Black Belt and becoming a corporate Lean Six Sigma instructor and mentor. He has developed and delivered corporate training and certification around the world and is a SAVE International certified Associate Value Specialist (AVS). As Quality & Process Improvement Manager in Kodak’s Health Imaging Group, he led the establishment of a new Supplier Quality function driving an order of magnitude reduction in defects and scrap material costs in less than three years. As Globalization Manager, he led the Lean Six Sigma Manufacturing initiatives transforming Kodak Health Imaging’s Minnesota and Shanghai, China hardware manufacturing operations. As a DFMA sensei, he has helped teams identify over $100M in potential cost savings and avoidance. Chris has a Bachelor’s Degree in Mechanical Engineering from Purdue University and a Master’s Degree in Manufacturing Engineering from the Rochester Institute of Technology. Bill Devenish The Devenish Group, Inc. The Devenish Group, Inc. specializes in product development strategy, management and design, with emphasis on cost reduction and accelerated time-to-market. President and founder, Bill Devenish, a long-time DFMA advocate, has decades of experience in technology product development. He has implemented DFMA within a variety of large and small companies, leading to enhanced cross-functional collaboration and significant product cost savings. As R&D Manager at Nokia in 1998, Bill led the engineering team that developed the first smart phone released in North America, and in 2016 he received the Distinguished DFMA Supporter of the Year from Boothroyd Dewhurst. Bill earned a B.S. in Design Engineering from Brigham Young University, an M.S. in Management of Science and Technology from Oregon Graduate Institute and a graduate certificate in Systems Engineering from Florida Institute of Technology. He has been awarded ten patents and has authored several papers on DFMA, embedded passives, implementing SolidWorks, and Design for Six Sigma (DFSS). Extensive experience in electronic product development for the consumer, industrial and defense markets, including strategic planning, product and program management, product design/engineering, process implementation and technical staff development. Guidance for companies of all sizes on implementing DFMA to enhance competitive position and achieve profitable growth. Institutionalization of DFMA through integration with the overall design process. Optimization of new product designs through early DFMA assessment and reduction of existing product costs through DFMA redesign. Process improvement to foster effective project and program management, concurrent engineering, robust innovative design and effective design reviews for accelerated market introduction with improved quality and reduced cost. DFMA analysis of competitor products for benchmarking and optimal market positioning. DFMA “Should Cost” modeling of parts and assemblies. Hands-on, personalized DFMA training for technical staff. Matt Miles is a mechanical engineer with over 17 years of product development experience. He has been practicing DFMA, utilizing Boothroyd Dewhurst’s software, since 2006, during which time he has led the implementation of DFMA at two separate companies. He has held positions as a research & development engineer, value engineer, supplier quality engineer, continuous improvement leader, and value engineering manager. In his engineering roles, he has participated on teams and been the technical lead for new product development launches and cost reduction projects that have resulted in millions of annualized savings. As a value engineering manager, Matt led the corporate DFMA and Value Engineering initiative across multiple companies in areas such as new product development, product cost analysis, competitive benchmarking, and DFM cost analysis for the supply chain. In addition, he facilitates cross-functional product design reviews and implementation workshops on the DFMA/VAVE tool sets. He has helped integrate these tools into the product development process and company cultures that have resulted in identifying millions in potential cost savings and avoidance, implemented cost savings, and patented product designs. Matt has been awarded four patents, presented multiple times at Boothroyd Dewhurst’s annual DFMA Forum, and was awarded the Boothroyd Dewhurst supporter of the year award in 2009. He holds a Bachelor’s Degree in Mechanical Engineering Technology from the Rochester Institute of Technology and is a SAVE International certified Associate Value Specialist (AVS). Convergence Data Services provides component and supplier management software solutions to the discrete manufacturing industry. Convergence offers a solution which enables the extension of DFMA cost modeling to the enterprise for increased accuracy, efficiency and effectiveness. This integrated toolset manages and validates DFMA inputs against company standards and rules and then publishes the models, outputs and other related files to a centralized database for easy access. Automated refresh capabilities are provided which allow for the automated update of cost analyses against the most up-to-date cost inputs (i.e. material, machine and operation libraries). Convergence also provides an easy to use search, query and reporting tool which provides cost rollups and competitive cost comparisons. For more information visit the company’s Web site (www.convergencedata.com) or call 1-203-364-8600. SolidView/Pro is a low-cost, easy to use, program for viewing and measuring a variety of 3D CAD data formats. With the SolidView family of products, anyone with a Windows PC can view, measure, and mark up CAD data. Instead of working with confusing paper drawings, you can now have a real-time shaded view of your CAD designs, without the need for expensive CAD hardware or software, and without extensive training. 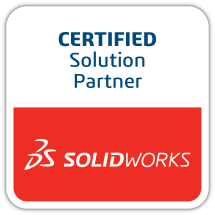 SolidView/Pro is from Solid Concepts Inc., a privately held corporation headquarted in Valencia, California. Additional information on SolidView and Solid Concepts can be obtained from www.solidview.com. SolidView is a registered trademark of Solid Concepts Inc.